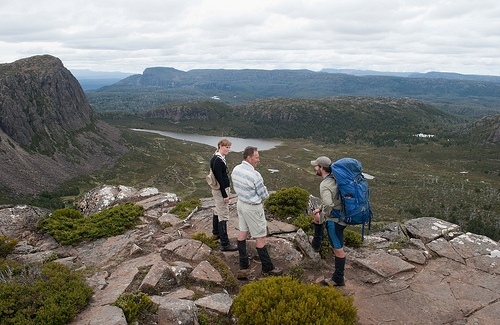 With its unique, ancient Gondwanan landscape, the world heritage-listed Walls of Jerusalem National Park is one of the best wilderness hiking areas on earth. 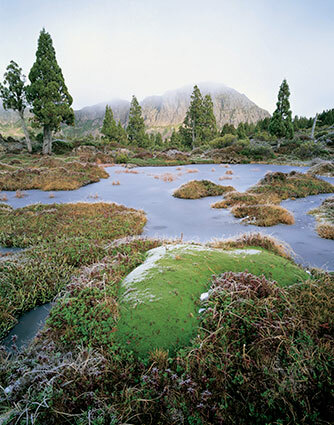 The Walls of Jerusalem National Park makes up the largest area of remote alpine and subalpine walking country on the island and forms a large part of the extensive Tasmanian Wilderness World Heritage Area. 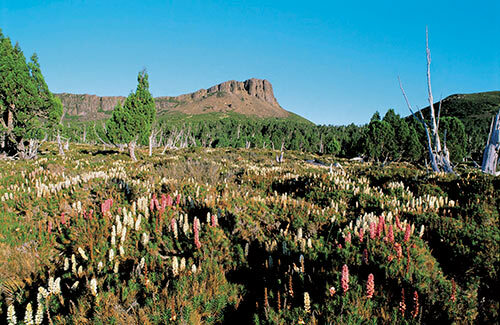 The only way into The Walls of Jerusalem National Park is by foot, this remote untouched wilderness is only available to a select few. 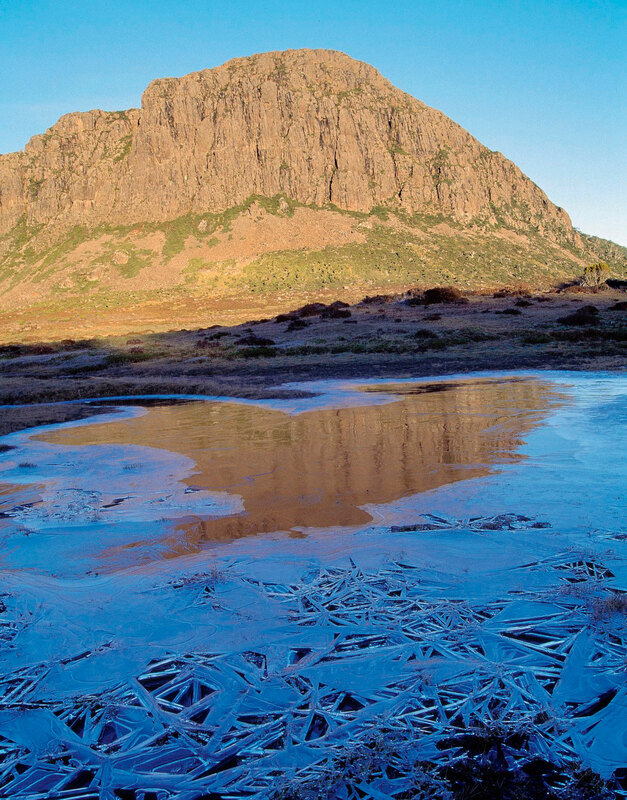 “The Walls” is famous for exploratory bushwalking options with both tracked and unmarked routes enabling Trek Tasmania’s small groups to experience some of the most unique alpine lake systems, endemic pencil pine forests, alpine wildflowers and spectacular mountain peaks in Tasmania. Sculped by recent ice ages, indigenous occupation and Australian highland personalities, the Walls of Jerusalem is a wilderness experience not to be missed. 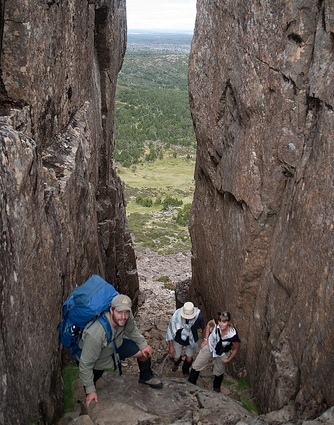 Trek Tasmania offers two options for exploring the Walls of Jerusalem National Park in small groups of 8. It’s a special place for us and a privilege to share these wilderness experiences with you. Our 4-day trek, enables our groups to establish a permanent base camp for three nights and enjoy two full day walk adventures with a light day pack. 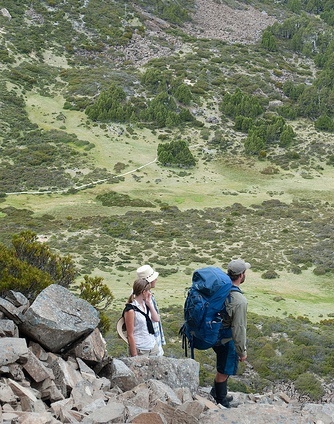 This tour benefits from food drop support, and with tents set up at our base camp, we have lighter loads to carry and more time to explore this truly stunning wilderness environment of the central “Walls” area. There are numerous hikes of varying length to choose from, which include options for remoter treks whilst also enjoying the impressive track work that has made Tasmania’s wilderness track builders famous around the world. Our 6-day full pack walk takes us into the heart of the central walls area where we base camp for two nights. We have the luxury of a day pack walk on day two, so we can make the most of this spectacular place and get to the mountain peaks a little easier. On day three we continue with our full packs into the more isolated and remote parts of the park where few people venture. Our camps are in the most picture-perfect settings, offering spectacular lake frontages, with an array of wildflowers and stunning mountain peak surroundings. 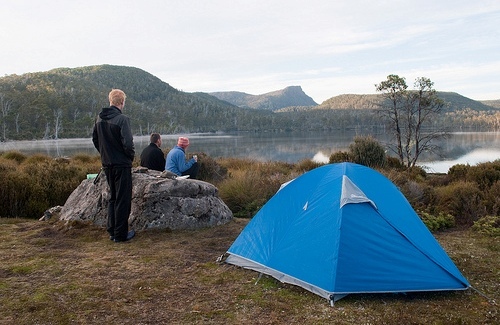 This is Tasmanian wilderness trekking at its very best! A wonderful team of highly professional guides and organisation - I would have no hesitation in recommending your organisation to others. 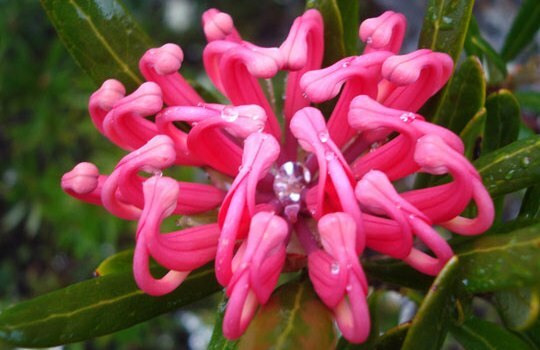 The guides had a wonderful depth and breadth of knowledge which adds to the experience. Tents were good and easy to put up/pull down. Lovely camp sites for the tents. Meals were always enough and very tasty. Cooking under not always easy conditions was very impressive. Particularly loved the porridge and coffee. The wonderful colours in the plants in the central walls and just the atmospherics with the mist and clouds created a magical environment. Truly breathtaking week of sites, sounds, and experiences! I was very impressed with the guides, preparation, organization, and overall ADVENTURE I experienced. Holger and Benni were fantastic cooks. It was also great that we had fresh produce throughout the week. They did a great job of shopping and providing quality meals with quality ingredients. None of the food was too heavy for each of us guests to carry in our packs when we moved from site to site. Knowledge of the land, animals, plants, weather, EVERYTHING was incredibly vast. I was extremely impressed and I learned a lot! The supplies provided or rented were of high quality and worked perfectly. Fantastic team and company! Many thanks for the wonderful walk you led through the Walls of Jerusalem. No longer able to carry a full overnight pack, I had resigned myself to never being able to go there, so it was wonderful that you were able to provide us with our cheerful "white Sherpa" in the form of Eric, to lighten our load. Also, I have dietary restrictions which can be challenging to the uninitiated, especially in the bush, so I was very appreciative of the effort Anne made to make my food as varied and interesting as she did. Because I normally eat a very low carb diet, I had forgotten to mention my need to maintain a high protein intake to prevent rebound glucose hypos on the high starch bushwalking diet, so I was especially appreciative of her efforts to keep me supplied with my own stash of salmon and tuna. Most of my bushwalking, especially in previous overnight walks, has been focused on "getting there". After the first day, in which I was obliged to stop frequently just to get my breath, I settled into making regular stops and look-backs, just to take in the wonderful experience. The credit for this must go to the guides, especially the lovely Brad, who were always so relaxed about the pace, and encouraged and supported this. As a result, my best memories were not just the awesome vistas, but the small moments when I stopped to look back at where we'd been, and to sit on a rock and feel the bush around me and notice the small details. I think that will change my walking habits from now on, so that I will be less goal oriented and more centred in the moment. So, thankyou again for a wonderful trip and yet more self-discovery! Thanks for organising our trip and patiently answering our questions. We so appreciated a special trip being organised that allowed us to carry minimum packs.The guides were great and achieved wonderful meals given the list of food allergies etc. Please pass on our thanks to them, we really enjoyed their company. There were so many highlights it is difficult to choose just one. On reflection, the whole expedition was an amazing experience, full of many highs and a few challenges. The professionalism of Brad, Kat, Clare and Holger was quietly evident at every turn; their friendliness, knowledge, ability to read our group, encouragement and support should be considered a highlight as this made for a very relaxed and enjoyable travelling group. My personal high was sitting on top of Mt Jerusalem. Wow, what an amazing country we live in. I cannot speak highly enough of the quality of service, support, education, encouragement, equipment, beautiful cuisine and choice provided throughout the trek. To be able to set up camp every night with your own private lake front, river side or bush camp is something we treasure and you managed to provide this time and time again. I would like to congratulate your team for providing such a unique experience, one of extremely high standard but mostly for the enjoyment you create. Our group enjoy life. We are great friends and it is wonderful to be able to share this experience together, especially because we could share it with you. See you next time. My thanks to Brad, Kat and Jacob for making my first walk so memorable and enjoyable. The scenery was out of this world. Fellow walkers were the best one could wish to have on a walk. Thank you all. The Walls of Jerusalem! Awesome guides, awesome scenery and awesome fellow bushwalkers. Can't wait for the next one! Thanks for taking us there. I would just like to thank your whole team for the tremendous care, love and support shown to our whole group during the full 9 days of this adventure. The Guides definitely had some medical issues to deal with and we could not have asked for better, caring people. They definitely deserve top dollar for this trek. Such cool, calm wonderful guides. I cannot speak more highly of the guides and your business. We will be doing another trip with you again for sure! I can only describe our hike as a journey. We were really honoured to been shown such a wonderful and beautiful part of Tasmania. I can't thank Kat, Brad, Holger, and Clare enough for their love and support. They really went well and truely above and beyond their duty of care. The care and support shown to Loris and Ted and their family was amazing and went a long way to making their journey alot easier and shows what wonderful people are involved in The Australian Wilderness Adventures company. I have just completed my photos srcapbook and it is a really good snapshot of all the fun, laughter and goodtimes that was had by all. This was a wonderful life journey had by all with many wonderful experiences that will never be forgotten.